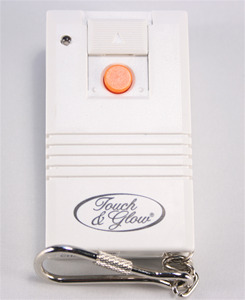 Pocket size RF wireless keychain Transmitter. 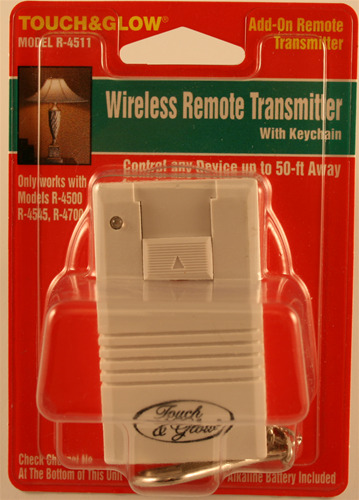 Turns lights, fans, appliances and devices On/Off from 50 feet away. Transmitter signal goes through the walls and corners. You MUST have Models R-4545 or R-4500 and/or R-4700 to use this item. Battery included.